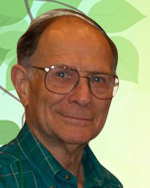 Dr. Lamson has been a staff physician at Tahoma Clinic since 1988 and received a Naturopathic Doctor degree from Bastyr University in 1982. 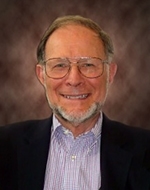 He was originally trained as a research chemist and held positions in teaching and/or research at Iowa State University, Drexel University and the University of Pennsylvania School of Medicine. He believes this initial training to be a major benefit in locating underlying causes of medical problems for his patients. Dr. Lamson maintains a medical practice, with a special interest in diabetes Type II, emphysema, autism, kidney failure, hepatitis C, gastroesophageal reflux, autoimmunity, and cancer. With his familiarity with traditional and alternative approaches to cancer, Dr. Lamson works closely with patients diagnosed with cancer and routinely provides a program to protect against the side effects of chemotherapy. Dr. Lamson continues to stay abreast of the most promising natural therapies related to cancer and coordinates with various cancer clinics in the Puget Sound area. He has served as the Coordinator of Oncology at Bastyr University and on the Board of Directors of the Washington Association of Naturopathic Physicians. There is a concern that antioxidants might reduce oxidizing free radicals created by radiotherapy and some forms of chemotherapy, and thereby decrease the effectiveness of the therapy. The question has arisen whether concurrent administration of oral antioxidants is contraindicated during cancer therapeutics. Evidence reviewed here demonstrates exogenous antioxidants alone produce beneficial effects in various cancers, and except for a few specific cases, animal and human studies demonstrate no reduction of efficacy of chemotherapy or radiation when given with antioxidants. In fact, considerable data exists showing increased effectiveness of many cancer therapeutic agents, as well as a decrease in adverse effects, when given concurrently with antioxidants. Davis W. Lamson, M.S., N.D., Matthew S. Brignall, N.D.
Abstract: The previous lengthy review concerning the effects of antioxidant compounds used concurrently with radiotherapy and chemotherapy is reduced to a quicker reference guide. The conclusion remains the same as the previous literature review. There are only three presently known examples in which any agent classifiable as an antioxidant has been shown to decrease the effectiveness of radiation or chemotherapy in vivo. The vast majority of both in vivo and in vitro studies have shown enhanced effectiveness of standard cancer therapies or a neutral effect on drug action. Many published medical papers are concerned with “alternative” methods of supporting a person with cancer during the standard treatments used by oncologists. Oncologists themselves do not use most of these methods and it falls to other kinds of physicians to carry this information to the public. Such methods should be used in concert with and the awareness of one’s oncologist. Tahoma Clinic has for over 10 years continued to develop these methods into a program of support for persons with a cancer situation. The program is extensive. Most persons consulting for the first time will be guided through the contents of about 20 pages of the program, which will be tailored, to their situation. It’s impossible to say in a few words exactly what would be done in such a highly variable program. Almost every aspect of a person’s body-vehicle will be reviewed and support given where indicated. Respiratory Problems – Asthma, Emphysema, etc. There’s a benefit to a holistic approach to these conditions rather than only aiming at a respiratory system in trouble. Many aspects of body chemistry are involved in intensifying the problem. In asthma, the bronchial muscles are more likely to spasm if the person doesn’t absorb high levels of magnesium well. The connection of asthma to pollens, unknown food allergy and the state of chemical digestion have long been medically published, though not widely remembered. The balance of sulfur chemistry can be a hazard and can be shifted if necessary. Underfunction of the adrenal glands (not enough to be a life threat, but enough to be a “trigger”) is all too common. Several botanical medicines can give welcome relief. Certain Prescriptions are known to have highly undesirable side effects, especially bad since these materials are likely to be continued for years. Emphysema is caused by structural damage to lung tissue (frequently by smoking) which leaves an inefficient lung. This results in increased mucus production and susceptibility to chronic infection, which further reduces breathing efficiency. These difficulties can be offset by making the person’s immune system more functional and by the use of glutathione mist twice daily. This latter frequently gives a highly dramatic benefit and should be tried on a trial basis in the office by anyone with emphysema. The original structural damage is the underlying problem and that cannot be changed apparently. However, other measures can greatly improve the percentage function of the remaining normal lung tissue. It’s been said that it’s likely any medical condition we don’t really understand is at least in part autoimmune. Autoimmunity occurs when a confused immune system can’t tell you from something undesirable. So the immune system can “shoot” the owner sometimes. It’s possible to have a little autoimmunity that you barely notice or a great deal as in the conditions listed above. What can cause such confusion? The answer is not completely clear. Some autoimmune conditions are linked to certain kinds of genetics, yet everyone with those genetics doesn’t have autoimmunity. Something more is needed to create a problem. There’s a strong connection to susceptibility to certain bacteria. It’s also speculated that environmental chemical exposures can also upset the immune system. We all get some of those chemical exposures. It’s a question of who’s more susceptible to the effect. In any event, if one is getting “ shot at by one’s own immune system, it does no good to say, “Hey, it’s only me.” The problem is underway and you’re getting beat up somewhere in the body. So the underlying problem in all the autoimmune problems is the same, but there are a lot of different names of conditions. The name simply tells where in the body the immune attack is happening. Why one person may get beat up in the joints, another in the nerves and another in the large intestine is not understood at this moment. What is clear is that damage is occurring faster than repair and whatever aggravates immunity is likely to cause a more intense attack. That realization actually provides a three-part plan to help deal with the problem. “Cool” the immune system somewhat to reduce attack. Reduce direct aggravation to immunity, which includes unknown food allergy. Increase tissue repair in the area under attack. These areas require a careful survey in each autoimmune situation. Sometimes one area is of most concern in a specific person. At Tahoma Clinic the physicians are benefited by being in close proximity to Meridian Valley Laboratory which has pioneered a number of tests to help direct treatment of those with autoimmunity. For example, the author has noticed that persons with autoimmunity frequently have glandular damage. A particular progression of damage is common with certain glands first, second or third. The extent of any damage is easily diagnosed by specialty tests frequently unavailable at most standard medical laboratories. The endocrine glands are highly important as they are like the foremen of the body, each gland directing the efforts of different aspects of the body. If a gland under functions, its messages are not being “read” or acted upon by other parts of the body. Autoimmunity can feel like you’ve had a lesser traffic accident on the interstate. You need the dents knocked out of the fenders so you can drive on. You need the eccentricities reduced so that driving is more comfortable, even if it has to be at lower speed. However, the real problem with autoimmunity in this story is that the accident keeps happening again and again until something reduces or controls it. There are natural ways of reducing the autoimmune difficulties, which should be investigated by anyone before they settle for a lifetime of either difficulty or drug requirements, frequently with unpleasant side effects.